(Cinet) - The National Times gave some gained activities in 6 months of early 2016 in fields of culture, sports and tourism. About culture – family: Some activities of culture, arts are organized nationwide. Maintaining and developing some cultural heritages has focused. The ministry submitted to the PM about establishing master plan of special national relics; ranking the relic site; submitting to the Prime Minister about ranking special national relics in 2016. Managing and organizing the festival; focusing on building cultural behaviors at the festival. About sports: the State management of sports has been enhanced. The ministry continues to enhance sport program for all. About tourism: Enhancing to the State management on travel activity and service quality in some travel agencies; fousing on some typical activities as follows: Travex international tourism fair; ASEAN ATF Tourism Forum 2016 in Philippines; ITB Berlin 2016; MITT fair in Russia. 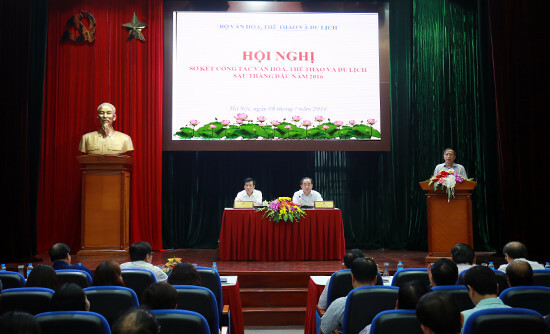 Minsiter Nguyen Ngoc Thien highly appreciated some efforts from the Ministry in the past times. The Minister stated some tasks in 6 months of late 2016. 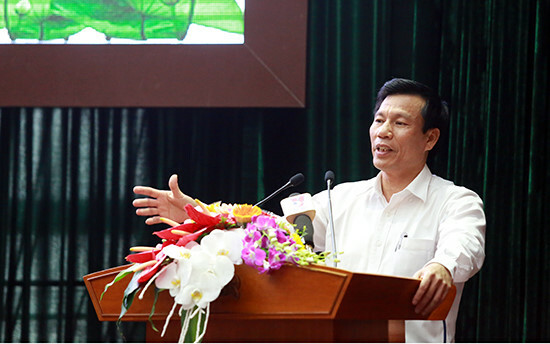 The Minister Thien proposed that some performance of high arts should be organized at the weekend in Ha Noi Opera Theatre. Many arts venues and creative spaces have contributed to bringing a fresh breath to the development of contemporary arts while helping bring the arts closer the public. “A quality program will ensure to develop high arts. We can build step by step and will bring the arts closer to the public in 06 months of late 2016”. Minister said.